On March 8 in (most) of United States we again advanced the time on our clocks by one hour. Shifting clocks an hour can’t be that much of a big deal, right? Actually, it is. In our sleep-deprived society, every minute counts. 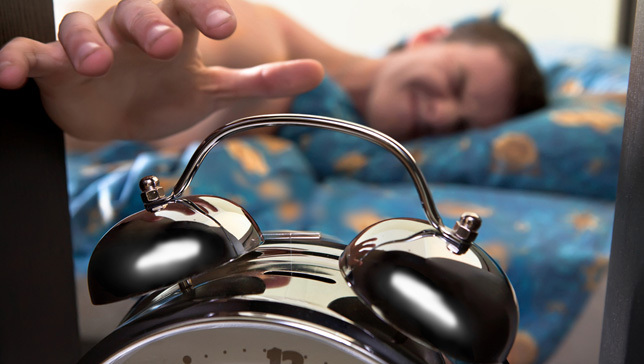 Losing 60 precious minutes of sleep can really hurt. Your mom always told you get eight of sleep (and might still be nagging you about that no matter how old you are). We all know that getting enough sleep is critical to our minds and bodies. And yet despite this, the Centers for Disease Control and Prevention’s 2009 Behavioral Risk Factor Surveillance System survey revealed that more than one-third of American adults typically sleep less than seven hours over a 24-hour period. And, although less-scientifically rigorous, a 2013 Gallup Poll found that 26% of respondents sleep only six hours per night. This means that up to one-quarter of our population may be sorely affected when the clocks jumped ahead. What’s the risk to those who are already “sleep starved” when they lose an additional hour? I, for one, would not want to be driving next to that group of people on the freeway. A 2001 study looking at 21 years worth of data on traffic accidents, found a significant increase in accidents occurs during the day after the “spring ahead” time change. 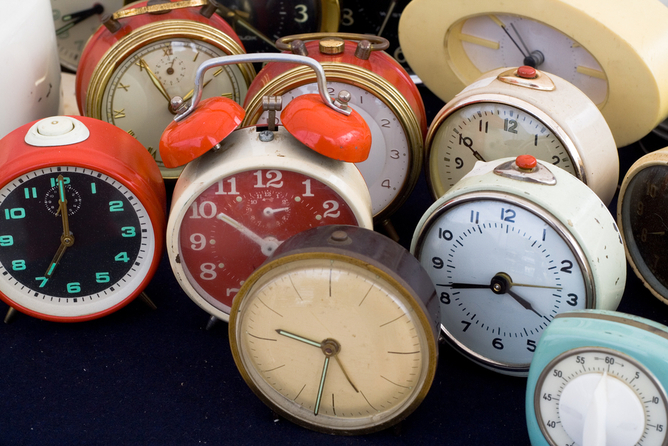 Daylight savings can also have an impact on workplace productivity. A 2012 study found a dramatic increase in cyberloafing – using the internet at work for non-work related purposes. Researchers found that people search for 3.1% more entertainment related sites on the Monday after the daylight savings switch compared to the Monday before. What happens to your body when you don’t sleep enough? If you already tend to get less sleep than you need, you may have already noticed some of the cognitive impacts. If you have trouble concentrating at work or school, find your mind wandering or have trouble remembering things, you’ve experienced some of the negative consequences of sleep loss. So shifting clocks ahead an hour probably isn’t going to help things. Generally speaking, adults need approximately eight hours of sleep each and every night. The need for eight hours of sleep is largely based on studies showing that brain performance and body homeostasis are optimal with eight hours of sleep and deteriorate with less sleep. Studies done by Timothy Roehrs at Henry Ford Hospital as well as Hans Van Dongen at the University of Pennsylvania show substantial cognitive impairment occurs with sleep loss. And Eve van Cauter from the University of Chicago has shown that insulin resistance, the first step toward diabetes, is triggered by sleep loss. Our biological clock is also unhappy with the time change. 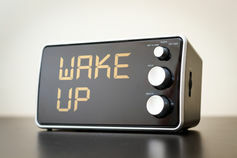 During the days and weeks before the time change we awoke (hopefully) to sunlight, which is the biological clock’s morning wake-up alarm. Sunlight stimulates the biological clock to activate other brain regions involved with maintaining wakefulness and homeostasis. However, starting on March 8, our early morning hours are filled with darkness and our biological clock may prefer to “sleep-in.” The absence of our biological clock’s wake-promoting drive may create a sudden jet lag-type feeling. We’ll find it a little more difficult to get started in the mornings. The spring time adjustment also affects school children. Monday morning they will find themselves standing at the bus stop in the dark. Their biological clocks will still be asleep and their bodies will feel like it is only 6am. Yet their wristwatch (or these days, their phone) tells that it is 7am. So our children will also feel jet lagged without leaving their home timezone. To help your brain and body adjust to the new light-dark cycle, it will be important to get an early morning dose of sunlight, every day. The blue color spectrum in natural sunlight stimulates our biologic clock, which in turn, activates other areas of our brain to “wake up.” The absence of a dose of sunlight shortly after awakening may lead us to feel sluggish or only half-awake. We will also feel a loss of vigor and vitality during the daytime. 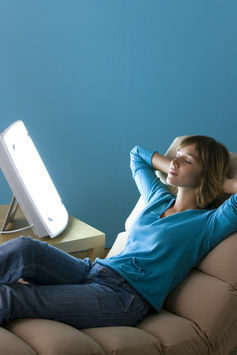 Let the light (therapy) shine. Those of us living in areas in which it is difficult to get an early morning dose of sunshine may consider something called light therapy. This established treatment simply involves sitting close to special, blue-light emitting bulbs that replace standard light bulbs in the fixtures at our office desks or other locations where we spend our daytime hours. The blue light frequency informs our biological clock that the sun is shining. Although we cannot fool mother nature, we can trick our biological clock into thinking that it is sunny outside. Fortunately, within two to three days, most of us will adjust to the new time schedule. And, hopefully, we’ll begin enjoying the benefits of an increasing daily amount of sunshine as the days lengthen as we advance toward summer.